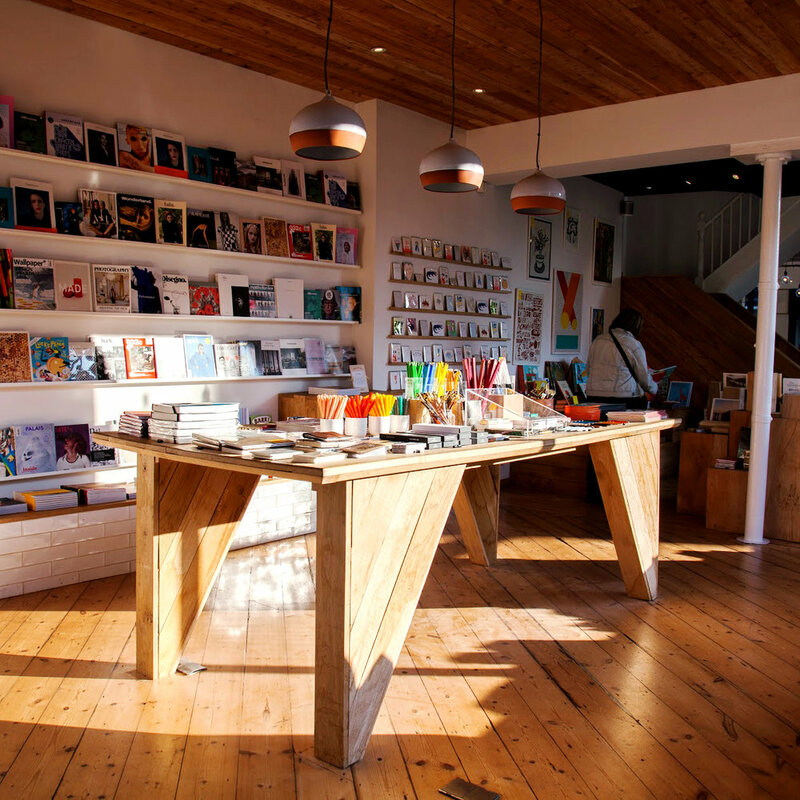 UPPERCASE magazine is available in some really beautiful shops around the world. Today, let's take a look at Papersmiths, a stationery, book and magazine shop in the UK. The store is located in Clifton Village in Bristol. "It’s full of independent boutiques and coffee shops and a short walk from Brunel’s famous suspension bridge." The store opened in October 2014 and specializes in quality, design-led contemporary stationery and paper goods. "From notebooks to pencil sharpeners and fountain pens to scissors, we've handpicked items from the best designers and makers across the globe. Our carefully considered curation of books and magazines includes interior, architecture, graphics, music, fashion, film, travel, food and children's titles." "Our customers are all very interesting people. We are visited by lots of creative people with good taste. They might work in design or have a passion for calligraphy, writing, sketching, photography or just good design!" Papersmiths will be opening a London location in May. You can also shop online. Issue 33 should be available there soon! Thank you to everyone who came out to the meetup last Wednesday at Brooklyn General Store! It was great to meet many UPPERCASE subscribers in person and put some faces to people I enjoy following on Instagram. Thank you to Catherine Clark for hosting this lovely event. Here's the store earlier in the day, before a few dozen people showed up! To see pictures from the event, please scroll over on Instagram. There are only a handful of UPPERCASE stockists in the city. One of them is The Ink Pad, a unique shop specializing in rubber stamps, scrapbooking and paper arts. Located on 37th Seventh Avenue at the corner of 13th Street, the shop has been in Greenwich Village for over 18 years. There's UPPERCASE openly displayed in The Ink Pad window. UPPERCASE and other magazines for the creatively inclined. There's an extraordinary variety of rubber stamps! We even found a rubber stamp of our dog Percy, a Cardigan Corgi. Anna Chiang is the owner of the store—she commutes an hour and a half each day to The Ink Pad. Now that's dedication! Patrice, in the middle, created some of the stamped card designs on display throughout The Ink Pad. Thank you, Anna, for carrying UPPERCASE in your shop! If you're not in NYC, you can shop The Ink Pad online, too. Go to Amsterdam and look inside issue 23! Thank you to the fine folks at Athenaeum Boekhandel in Amsterdam for making this flip-through movie of the current calligraphy and lettering issue. If you're ordering from Europe, Athenaeum has quite a few back issues in stock (even the increasingly rare issue #10). You can pick up a nice collection of UPPERCASE magazines, including the current issue, at Brick and Mortar Living in British Columbia. Brick and Mortar is "a quaint little shop in the heart of historic downtown New Westminster, filled with local designs, unique gifts and nostalgia for the home" whose mission is to "bring a sense of community, warmth and merriment to the adventure we call shopping." I love independent shops like this! Go visit them this weekend if you can. For a stockist near you, please check this list. If you'd like to recommend a shop or would like to stock UPPERCASE, please be in touch! I'm honoured by this display at Guild Art Supply, home of Big Wheel Press, in Northampton, Massachusetts. As you can see, they have a healthy offering of back issues. Please pay a visit and pick up an instant UPPERCASE library for your own creative corner. They also offer some letterpress workshops and have prints available on Etsy. I love places like this! Thanks, Bill! Athenaeum—my best stockist in the world—has posted a video flip-through of issue #22. What makes them the best stockist? They're a great store in a bustling part of Amsterdam with exciting titles with friendly and knowledgeable staff who care about magazines. 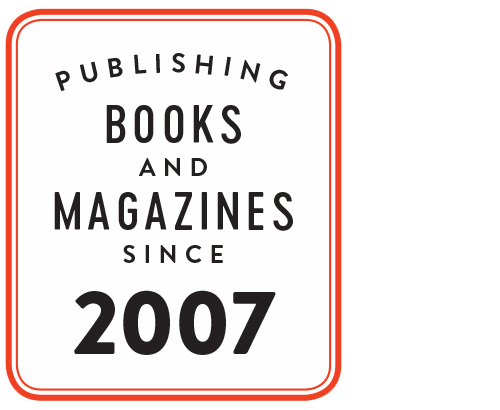 They support independent magazines and do excellent marketing, like making videos and hosting events like when I was in Amsterdam two years ago. They consistently sell more copies of UPPERCASE than any other single location! If you're in Europe, purchase UPPERCASE through Athenaeum Nieuwscentrum here. And, they have back issues! CollageCollage, a lovely stockist in Vancouver that fosters children's (and parents') creativity, is celebrating a milestone. Five years in retail is a great accomplishment! Erin Boniferro writes, "I really can't believe it's been FIVE years since we set up shop on what was a lonely little street in East Van. And look at us now! A bustling store on a sweet little street. I'm so thankful for our community of small businesses, local families and artists big and small coming together to make this shop what it is." Join the celebration this Saturday at CollageCollage from 1-4pm. You can find out more about CollageCollage in issue #14, an UPPERCASE dedicated to play and children's book illustration. What a gorgeous shot by Malaysian stockist Kasa Suasa for their webstore! Their site's intro photographs are top notch — go take a look and click through — you'll find a series of lovely still life composition featuring UPPERCASE and other magazines like Hearth and Cereal and cards by Rifle Paper Company and Garance Doré. I'm thrilled that UPPERCASE is stocked in Article, this gorgeous shop in Dublin. Oh, to be everywhere my magazine gets to be! West End General Store Popup is a business partnership between Oollo Tea and Forest & Waves. The store front is presented by Production Road, a studio + shop in the West End of Vancouver. The concept is to open a hybrid shop of a tea house in a surfing beach shack in the Pacific Northwest. Oollo Tea will present farm direct whole leaf teas and cold brewed teas. Partnering with local food entrepreneurs, an Oollo Tea infused dessert collection of ice cream, chocolate, cheesecake and macaroon will also be available! Outdoor inspired retail products from Forest & Waves: backpacks, surfboard bags, beach bags, books, cards, prints, and apparel. Also, Forest & Waves will be presenting a collaborated apparel line with Caravan Beach Shop in Tofino, BC. Lastly, the shop will also feature the new exclusive Lemonni products. Well-designed items from paper goods to home textiles like tea towels and pillows. West End General Store Popup will be open from August 1 to September 14, 2014 at Production Road, 990 Nicola Street, Vancouver. The folks at Allscript Magazines (our distributor and stockist in Singapore and Malaysia) are enjoying a delicious dinner! If you're in Vancouver and looking for a wonderful place to inspire your creative side this weekend, please visit Bird on a Wire Creations on 2535 Main Street. More than a store, it is a community and learning space that supports artists and the buy local movement. Says owner Kate Nagel, "We strive to create a supportive environment where new and established artists and artisans can learn from each other and bring their wares to market without investing in nasty overhead. We provide the staff, space and traffic to help create sustainable incomes." Bird on a Wire Creations is open this weekend: Saturday from 10–6 and from noon to 5 on Sunday. For more details—and to shop from their online selection—please visit their website. Prize is a "modern general store" in Ashland, Oregon. They've just received our summer issue and they have plenty of back issues to go along with it—you could make quite a handsome collection! Prizeshoppe is their new handle on Instagram and it looks like their images will be pretty and colourful. Follow along! The Creatory was founded by Gill Brooks and Romana Toson in Sydney, Australia. "Long time friends, we both come from a designer/maker background, so we wanted to create a space where we could indulge our love of 'handmade' and share it with a wider community. Our shop is very much a reflection of who we are and what we love,” say the duo. At The Creatory, you can find a wide variety of handmade pieces from artisans in Sydney, Australia, and abroad. The Assembly is a brand new store in Singapore carrying brands like Benjamin Barker, Cote & Ciel, and Acme Made. Offering its customers “indie brands,” The Assembly also sells UPPERCASE magazine. Customers can soon flip through the pages of UPPERCASE while they sip a coffee at The Assembly Ground, the store’s attached cafe set to open in June. Production Road is a beautiful downtown Vancouver shop curated by a graphic designer and a photographer. Annie Chen is a graphic designer originally from Taiwan, and Hubert Kang is a documentary and advertising photographer. Together they opened Production Road, which also acts as a working studio for them both. Visit their online shop in person or online. And for more from this talented duo, take a look at Annie’s designs and Hubert’s photography! One of our stockists, Two Hands Paperie in Boulder, Colorado, has just received their order of Issue #21 and will now be selling it in their shop. Two Hands also sells back copies of Issues 17-20 on their online store, and is offering free shipping on orders over $75 to the lower 48 states. Janine was hosted by Two Hands last April, where she was given the opportunity to introduce last year's spring issue. You can read more about Janine's visit here.